Notorious kidnap kingpin terrorising Lekki and Epe axis of Lagos, Aeron Muboh, has been arrested by operatives of the Anti Kidnapping Squad of the Lagos State Police command. The father of two, who resided at Edirin village in Epe, allegedly had his hideout in a creek at Milajonye area of Epe, where he kept his victims until ransom was paid. Vanguard gathered that his victims were usually residents, whose houses are situated close to the river as the gang’s modus oparandi included besieging residents’ apartments in its Gulf 3 operational car at night. Thereafter, victims would be driven to the river bank, from where they would be taken in the gang’s speed boats to the creeks. One of the victims, a retired bank manager, Mr Adebola Ogunyemi, was kidnapped twice by Muboh’s gang. Ogunyemi as gathered spent one week in the creek before he was released after payment of an undisclosed amount as ransom. While he was still smarting from his abduction experience, the kidnappers stormed his residence again and whisked him away. 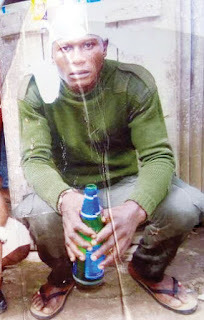 As at time of writing this report, Ogunyemi had fled his home, for fear of falling victim again. It was gathered that the Lagos State Commissioner of Police, Mr Imohimi Edgal, later directed the Anti kidnapping Squad to go after the gang when he learnt about their activities. Vanguard also gathered that Moboh relocated from Edirin village with members of his family when he got wind of the command’s move. He was however arrested at about 6am on March 9, 2018, at Itokin village, in Epe. Asked how much he collected from the ex-banker on the two occasions he was kidnapped, he kept mum. Edgal further disclosed that another kidnap gang was smashed in Epe, with the arrest of its suspected leader, Lukman Fokojoh.